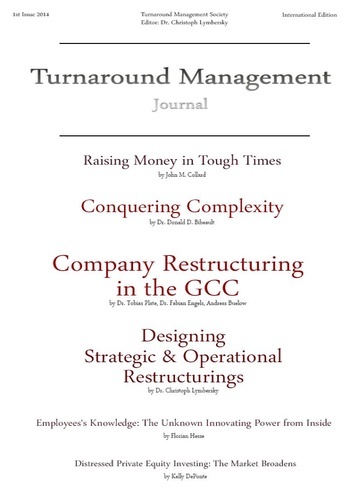 The Turnaround Management Journal is a journal about corporate turnarounds, restructurings and transformations. Regular authors include academics such as university lecturers, professors and students who are engaged in research on crisis management. 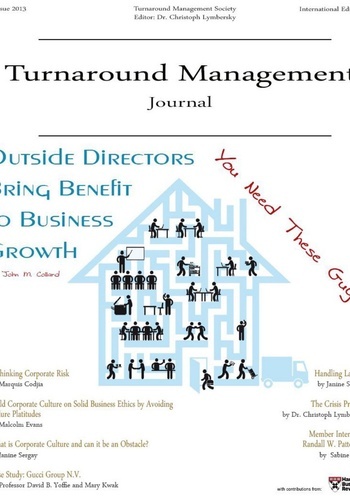 TheTurnaround Management Journal provides a forum for the presentation of their findings and results to other researchers and the professional community. 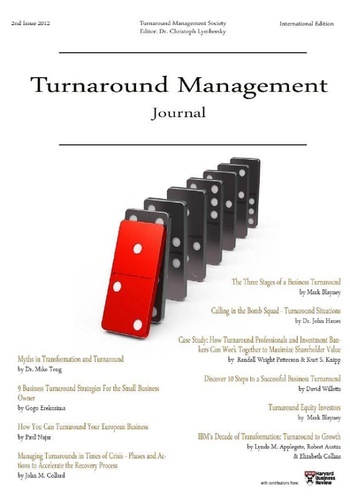 Professionals who work in crisis management are also invited to submit articles for publication in theTurnaround Management Journal. Their opinions, case studies, success stories, and company introductions are highly valued by other professionals and academics alike. 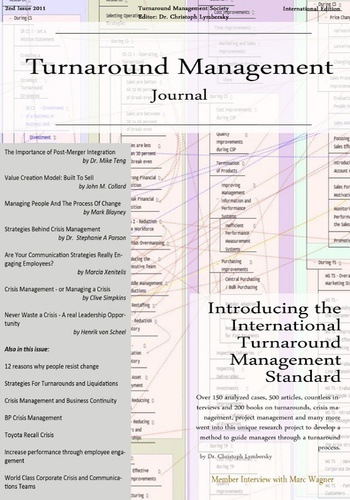 The ITMS is a dynamic standard that is updated frequently in order to reflect changes in the industry, new developments and findings, and successful cases. The profiles section gives authors an opportunity to present themselves or their companies to other members, subscribers, institutions and interested parties. 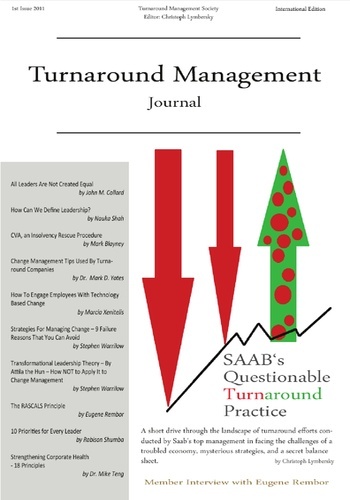 Academic developments are presented by researchers such as university lecturers, independent researchers and graduate students in the field of turnaround management. This section gives professionals the opportunity to present a recent case or their opinion on a TM-related topic. 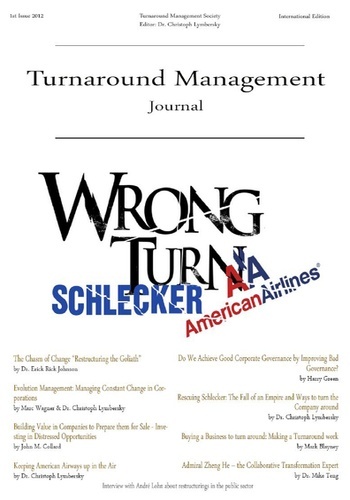 The Turnaround Management Society constantly analyzes failed and successful cases, and the most interesting and potentially useful are presented under this section. Each issue presents a special topic on an industry, a type of business such as SMEs, the economic situation or another topic of interest and use to our members. This section gives professionals and academics alike the opportunity to discuss previously published articles and opinions in a highly professional environment and among experts of the field. 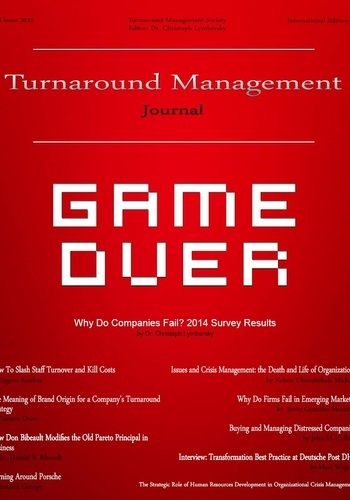 Turnaround Management is applicable to and used in a variety of industries. However, it is also important for our field to monitor other fields such as project management, finance, and change management, since these industries directly affect our industry. The TMS keeps its eye on a range of issues and issues so developments in related fields and industries that affect TM are not overlooked. 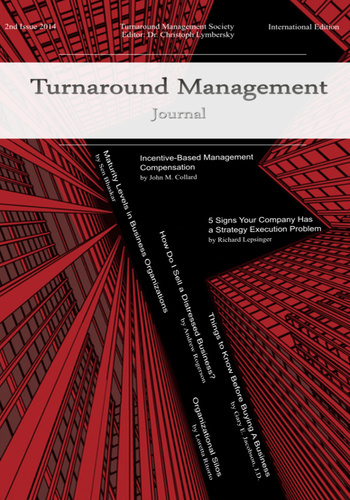 In each issue we publish a list of current holders of the Certified International Turnaround Manager (CITM) qualification, their contact details and a short profile so companies that are interested in hiring a turnaround manager have easy access to certified professionals.